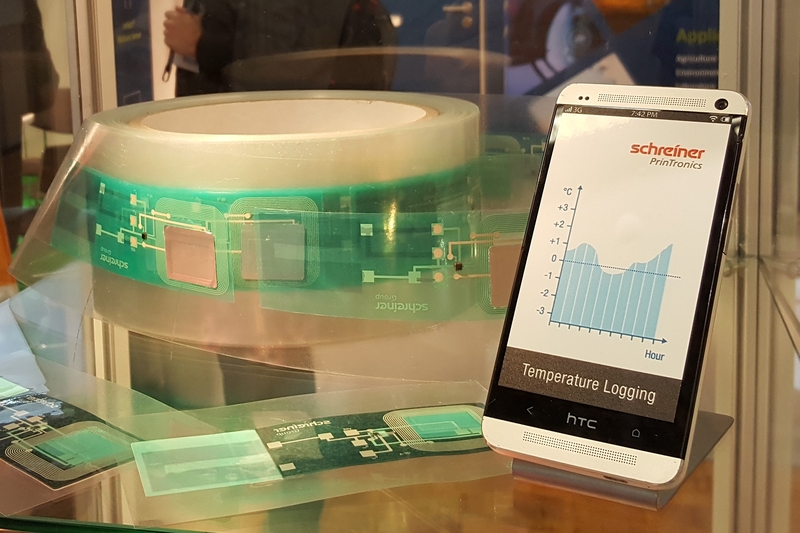 Using printed conductive paths, the RFID sensor platform combines a temperature sensor and a first-opening sensor with an NFC chip. Thanks to an imprinted NFC antenna, the chip allows for contactless readout with a smartphone equipped for this purpose. When the printed RFID sensor platform is used to seal a product pack the label performs two essential functions. By means of a sensor, it continuously records temperatures across the entire supply chain and stores the information throughout the label’s lifetime. A very thin, flexible battery embedded in the label enables such long-term data logging. There is also an integrated first-opening sensor which indicates in the corresponding smartphone app whether or not the label has been cut through and the box opened, exposing the contents to possible tampering. The RFID sensor platform offers many other fields of application that extend far beyond mere temperature recording and proof of first opening. The range of possible applications is extremely wide. For instance, in the future it will be possible to use the chip for storing and reading biomedical data or physical measurement results such as humidity or shock on the label. The prize for the complex label with electrical functions was awarded last week during the LOPEC in Munich. The yearly OE-A Competition encourages the development of visions for future applications incorporating organic and printed electronics. The prominent jurors especially highlighted that the RFID sensor platform goes far beyond the stage of a prototype and has been designed explicitly for roll-to-roll processes. The solution is therefore perfectly suited for automated processing and thus also for industrial mass production. 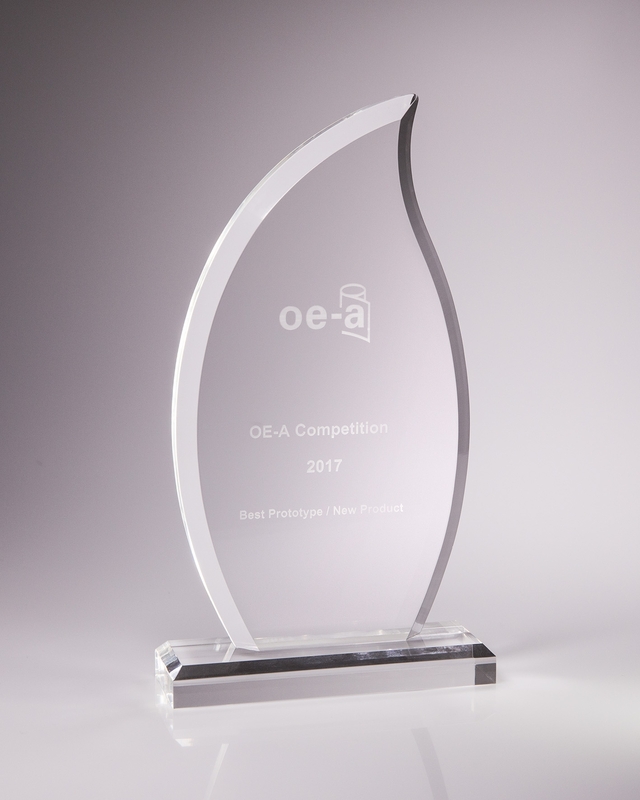 “Winning this award in the OE-A Competition shows that our hard work in the development of especially thin, flexible, multi-layered film products pays off. The fact that we have been able to combine industrial roll-to-roll processing of printed electronics with RFID and marking in a single label is a great success for our entire team,” explained Johannes Becker, Director Competence Center Schreiner PrinTronics.